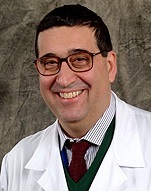 Dr. Renato Mantegazza has a long-lasting experience in the field of Myasthenia Gravis (MG), Neuromuscular Junction Diseases (such as Lambert-Eaton Myasthenic Syndrome), Multiple Sclerosis, Motor Neuron Diseases and Inflammatory Myopathies by giving contributions in the understanding of the pathogenic mechanisms underlying these diseases and in their treatments. Dr. Mantegazza professional and scientific training was developed at the Weizmann Institute of Science (Israel), Stanford University (USA). His scientific production consists of more than 100 peer-reviewed publications. He is the Director of the Neuroimmunology and Neuromuscular Diseases Unit at the Fondazione Istituto Neurologico “Carlo Besta” of Milan. The Department activity is focused on the diagnostics, treatment and research of immune-mediated neurological diseases as well as neuromuscular, motor neuron and muscular disorders. The Department hosts biobanks for sera/plasma/CSF, muscle/myoblasts, thymus/thymic cell lines, peripheral blood mononuclear cells, fibroblasts/iPSCs, and nucleic acids from a large number of MS and MG/LEMS patients. Dr. Mantegazza has been appointed as the Director of the Clinical Research Department for the Istituto Neurologico “Carlo Besta” and is PI of several clinical trials in Multiple Sclerosis and Myasthenia Gravis. Dr. Renato Mantegazza is part of Scientific Advisory Boards of Biomarin, Alexion Pharmaceuticals, ARGX and TEVA Italia. This paper reviews the recent advances in the field of MG which span from autoantibody profiling and pathogenic mechanisms to therapy innovation. The overview is highlighting specifically the data and the needs of targeted treatments in the light of precision medicine in MG.
MG is an antibody-mediated autoimmune disorder that targets the neuromuscular junction (NMJ), resulting in fluctuating fatigable muscle weakness that typically presents initially with ocular symptoms but frequently generalizes to encompass bulbar, respiratory, and limb girdle functions. In the past half century, improvements in accurate and prompt diagnosis and treatment have simultaneously increased the estimated prevalence of MG and improved the prognosis for patients, leading to a substantial reduction in mortality attributable to MG. Among patients with an MG diagnosis, MG-attributable mortality was reduced from 70% in the 1930s to 30% by 1955, and is now well under 10%. During the same period, the estimated prevalence of MG increased more than 10-fold, from 1 per 200,000 to 1 per 17,000. In the last years improvements in treatment strategies and the prognosis of MG have been relatively broad-based, with the treatment goal of establishing complete stable remission (CSR). However, recent work has demonstrated heterogeneity in disease course and treatment response based on patient antibody profile: patients with antibodies to muscle-specific tyrosine kinase (anti–MuSKpositive) appear to be less responsive to conventional treatment than those with antibodies to the acetylcholine receptor (anti–AChR-positive) or those without anti-MuSK or anti-AChR antibodies. Novel data from recent studies on immune-pathogenesis increased substantially our knowledge on the disease. The use of cell-based assays has greatly improved autoantibody detection in MG patients, and the mechanisms of action of these antibodies have been described. The role of Toll-like receptor activation in the generation of thymic alterations and anti-acetylcholine receptor autosensitization has been further investigated implementing our understanding on the relationships between innate immunity and autoimmunity. Additional studies have been focused on the alterations of T/B-cell regulatory mechanisms in thymus and peripheral blood of MG patients. microRNAs and genetic factors are also emerging as key biomarkers in MG pathogenesis and prediction of drug efficacy in individual patients. The recent immune and pathological findings in MG promise to improve MG treatment, via the development of more precise and personalized therapies.